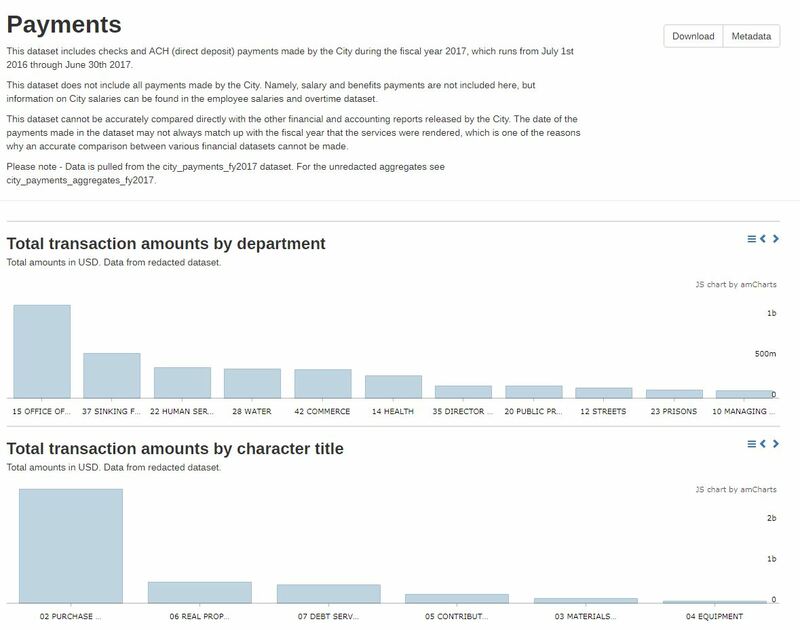 This dataset includes checks and ACH (direct deposit) payments made by the City during the fiscal year, which runs from July 1st 2016 through June 31st 2017. This data cannot be compared with other financial and accounting reports released by the City. Legal and security-sensitive data has been rolled up to the aggregate dataset. 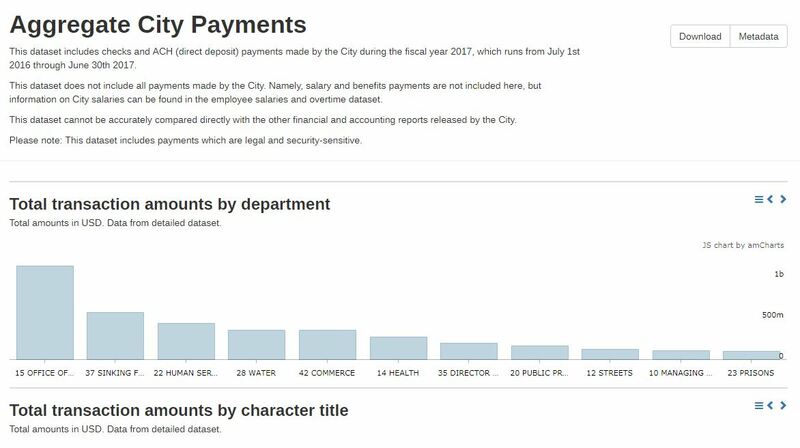 This dataset does not include salary and benefits data or payments the City makes to fund the operations of the First Judicial District. Vendors should use the vendor payment website, not this dataset, to track payments. A data visualization of the City of Philadelphia's FY2017 payments. A data visualization of the City of Philadelphia's FY2017 aggregate payments.